Thing most terrifying thing about serial killers is that sometimes, they’re just like us, as the interesting facts in this true crime collection reveal. Even the most diabolical of serial killers was once someone’s child, someone’s spouse, someone’s parent, but somewhere along the line, something happened to send them off the rails on a descent into madness. Wisconsin serial killer Jeffrey Dahmer would have said he was just lonely, and that’s why 17 young men ended up dead at his hands. Never mind that he carried around a plastic bag to pick up road kill as a child – a huge harbinger of terrible things to come. 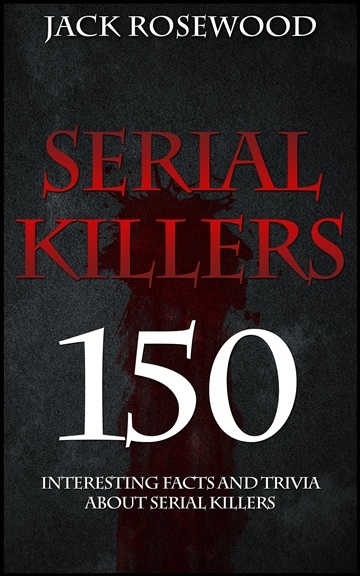 The compilation of trivia in this serial killer true crime anthology goes beyond the familiar stories to give you a glimpse of some of the more horrifying aspects of people who become famous for acts of barbarianism that are unfathomable for most of us. By going behind the scenes, you’ll learn more about the monsters whose stories keep us awake at night, uncover the mundane hidden amongst the horrifying bits that make the evening news. These serial killer true crime moments are those you’ll want to read around the campfire on a moonless summer night. That’s if, of course, you’re planning on staying up all night. Sleep, if it comes, will be a nightmare.